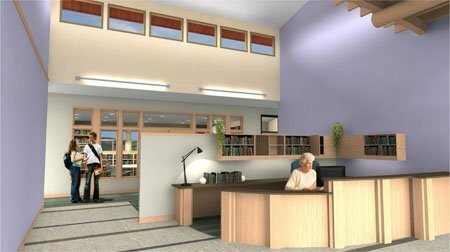 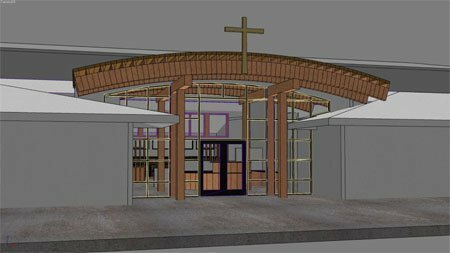 New construction offered church members an opportunity to express the spiritual values underlying their decision to build a new Ministry Center. 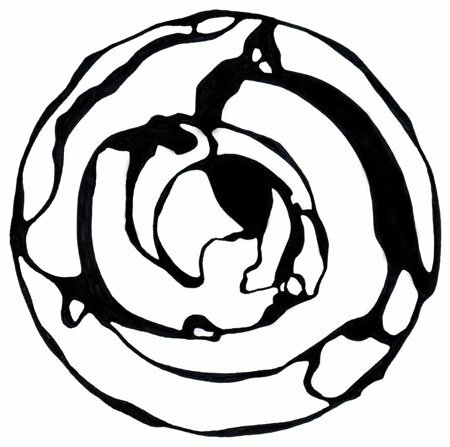 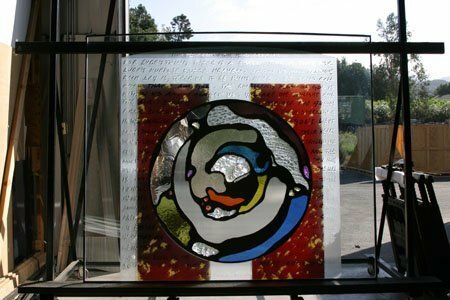 The congregation asked what would be an artistic way to show that their faith community is actively engaged in both internal spirituality and external action? 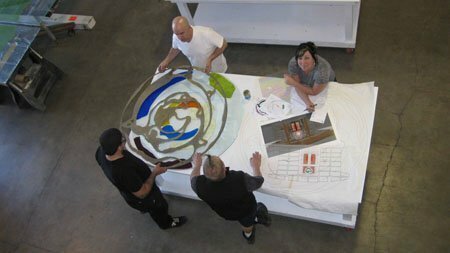 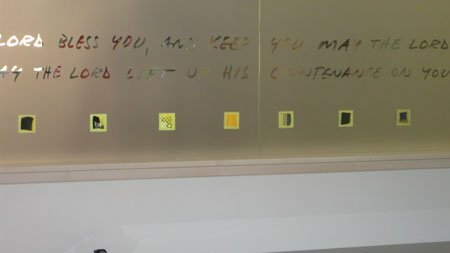 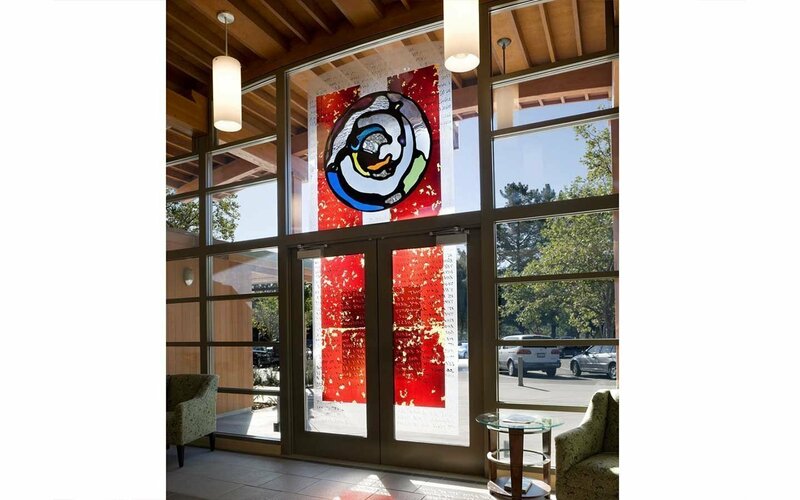 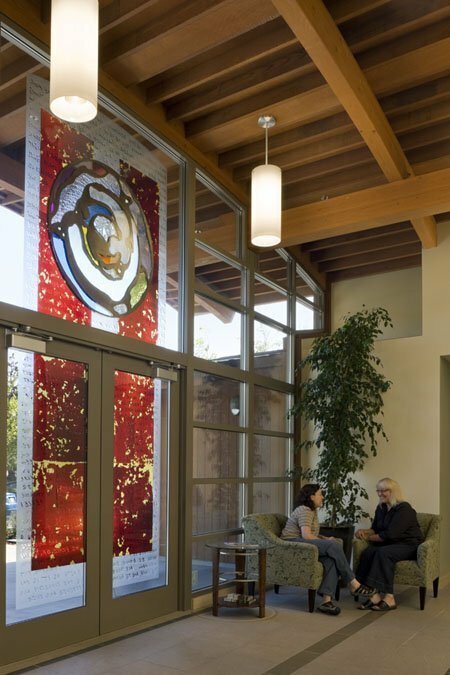 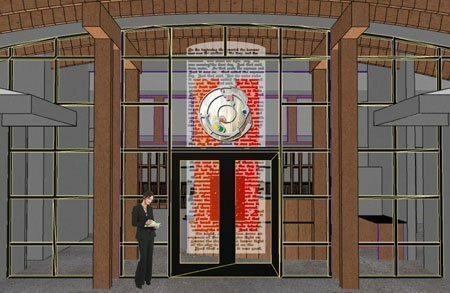 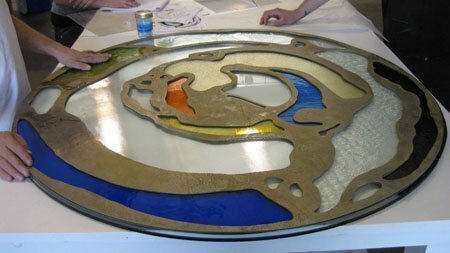 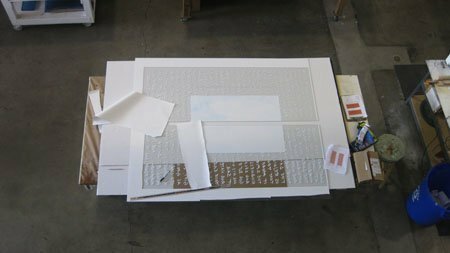 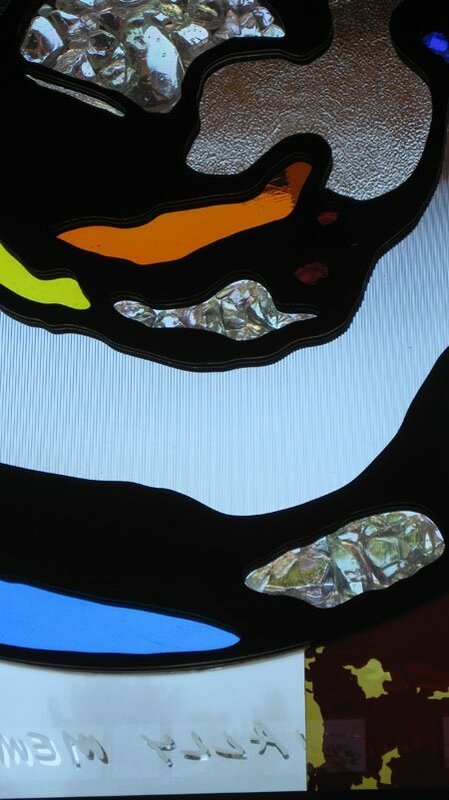 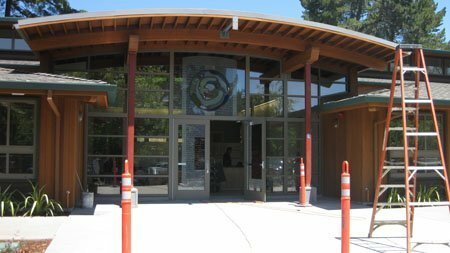 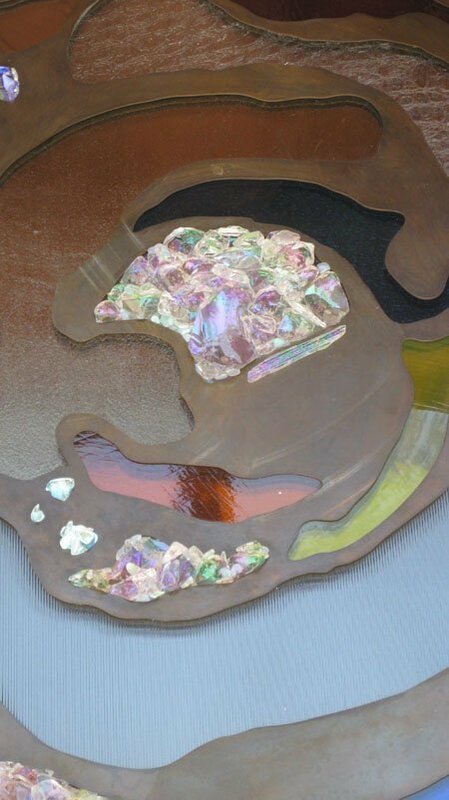 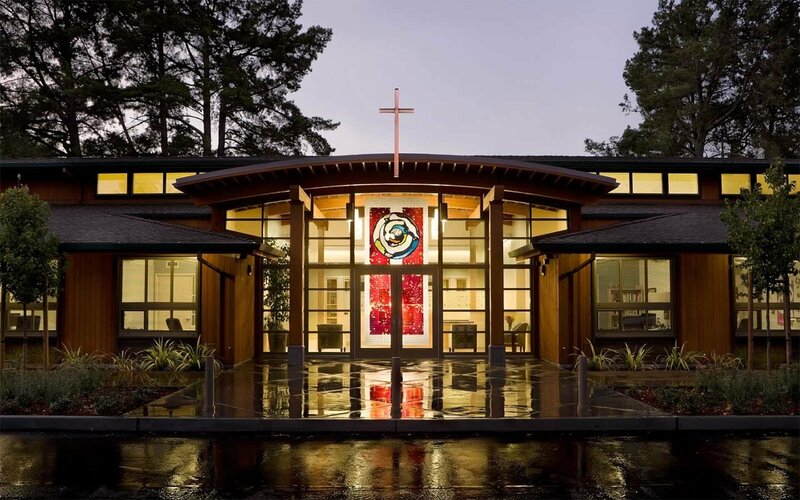 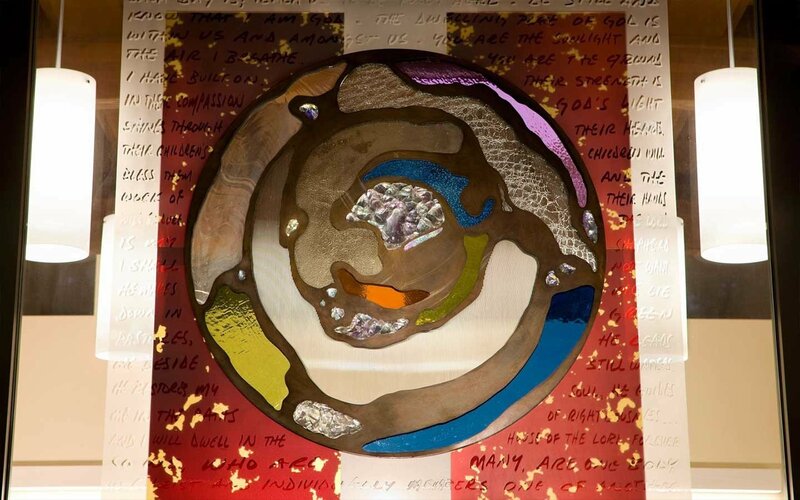 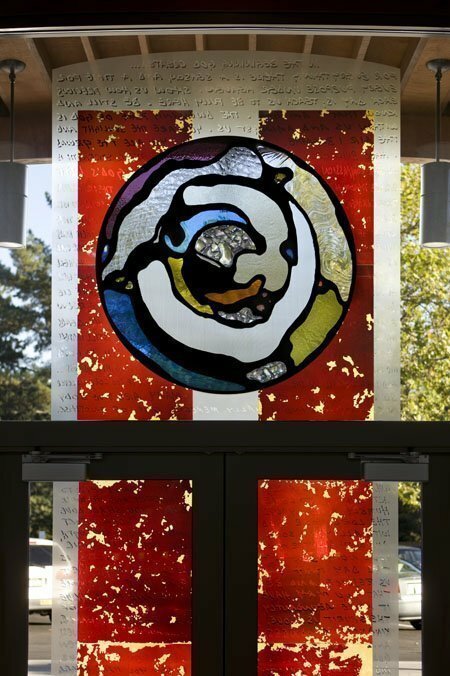 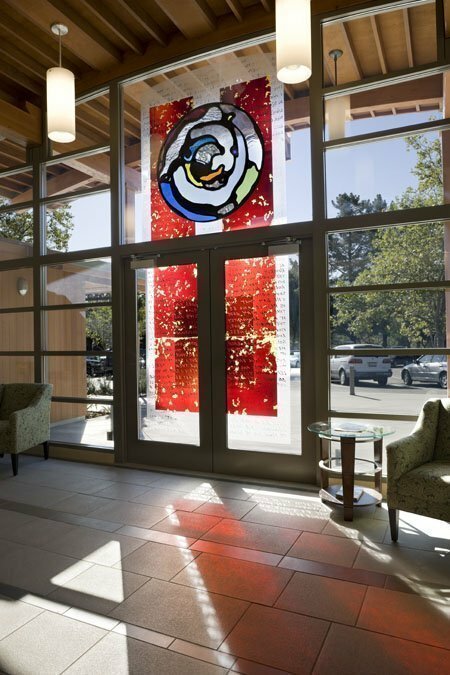 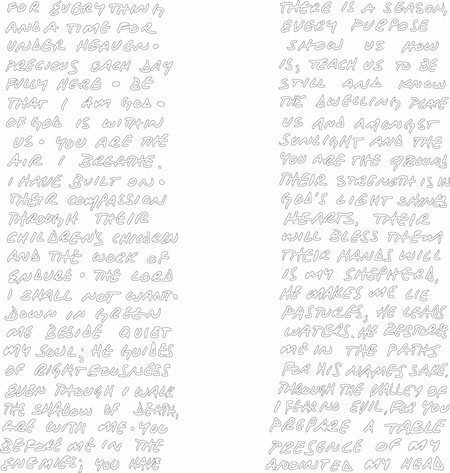 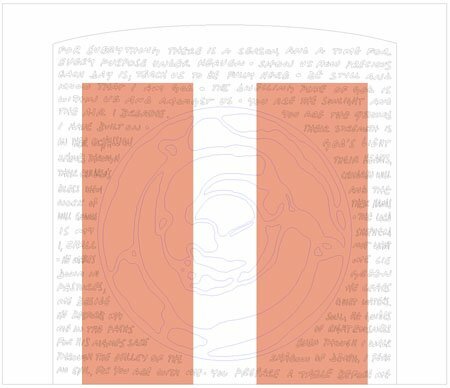 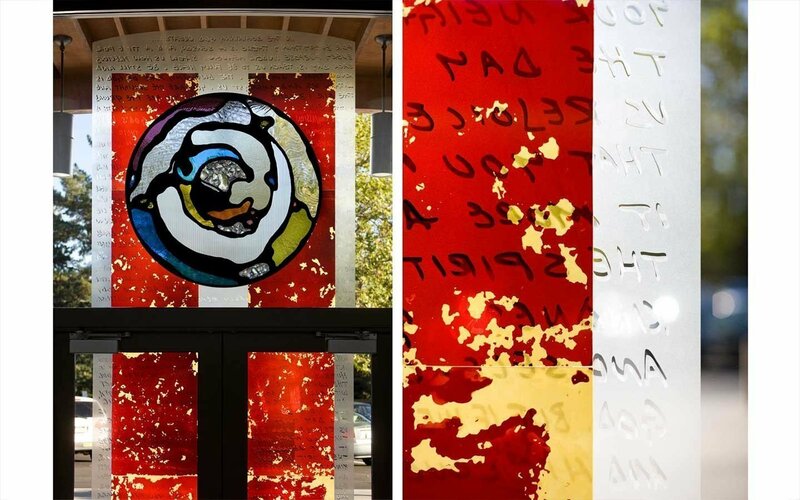 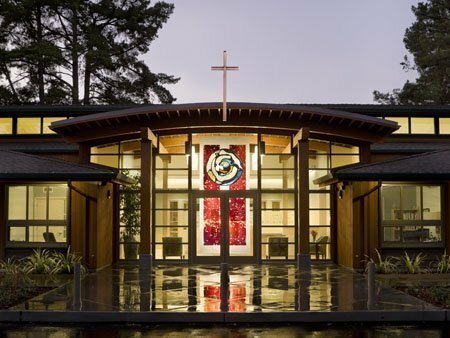 Gordon Huether showed them how, through a combination of abstract fused glass and biblical texts used as an integral part of the Ministry Center entrance doors. 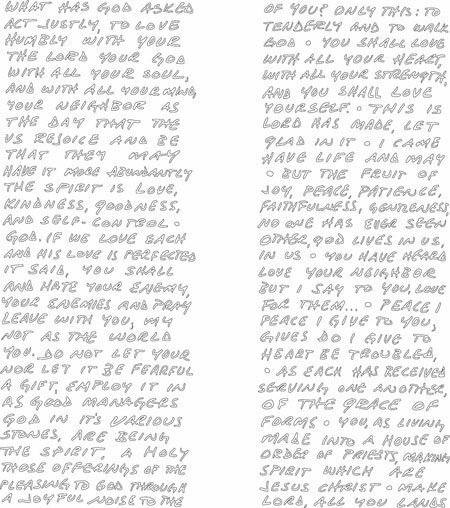 Huether was given a selection of scripture passages expressing the congregation’s core values.